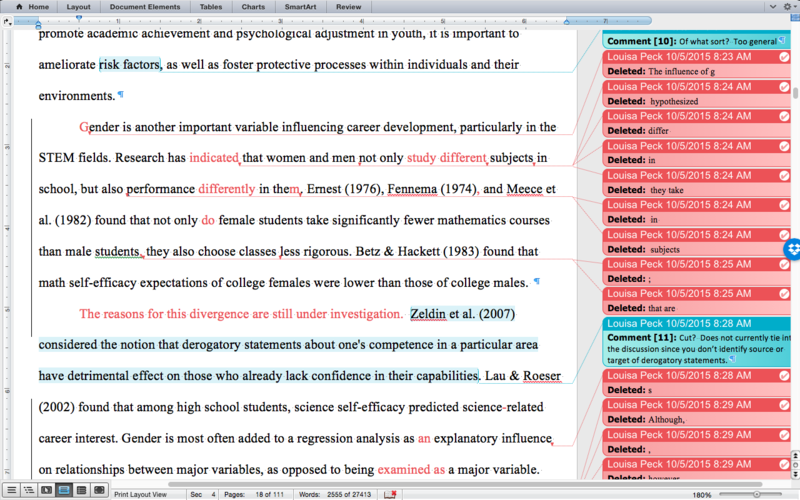 Writing a dissertation demands tremendous effort and dedication over an extended period of time. Most doctoral candidates conferring back and forth with committee chairs end up revising their work numerous times, until they have rehashed the same material so many times they can no longer view it with objective distance. Good writing results from a convergence of quality content, audience awareness, and well crafted style. Unfortunately, under the circumstances most candidates face, this happy combination becomes quite difficult to achieve! Repeated changes made in response to committee chairs’ feedback (which is often hurried and off-the-cuff) can improve the content but often at the cost of disrupted flow and clarity. What’s needed is an intelligent reader who can understand the intended flow of ideas and optimize phrasing to convey it most effectively. 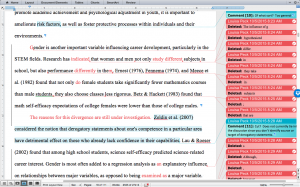 Having offered a dissertation editing service for over eight years, I have developed adroit skills for refining and clarifying research arguments. For example, in the sample above, I cut extra words, strengthen verbs, and create parallelism for maximum clarity. I also supply a topic sentence to clarify a paragraph’s purpose and provide the reader an onramp. I suggest additions and cuts per academic standards for specificity and lack of redundancy. Of course, I also correct errors in grammar and punctuation. The results prove not only rewarding for me, but often crucial for my clients. Committees are pleased by the clarity of the text, which actually lends credence to the validity of the study and findings. Clients who came to me discouraged and distraught have won prizes and published their work. I am happy to answer any questions about my methods and to provide a paid sample of one hour’s edits. I am also available to edit articles for peer-reviewed scholarly journals.